Since 2014, Dr. med Philip Catalá-Lehnen is the medical director of the LANS Medicum Hamburg, the most modern center for sports and regenerative medicine in Germany. The LANS Medicum Hamburg is the first outpatient branch of the successful Lanserhof resort. With its symbiosis of modern medicine and scientifically validated methods of naturopathy, the award winning LANS Med Concept has been providing the building blocks for a healthy, energetic and active life for over 30 years. For many years Dr. Catalá-Lehnen practiced at the University Medical Center Hamburg-Eppendorf as specialist in orthopedics, trauma surgery and accident surgery. Today he looks after professional and recreational athletes as the chief physician for Orthopedics and Sports Medicine at the LANS Medicum Hamburg. Dr. med. 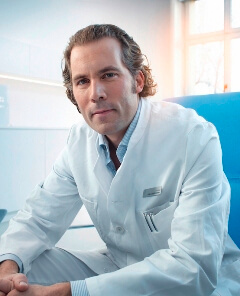 Philip Catalá-Lehnen became well-known for his role as the senior team doctor of the German football Bundesliga club Hamburger SV.